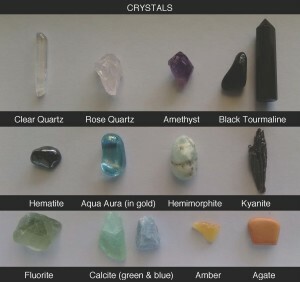 They have all been connected to the earth grid of crystals and programmed to support each other. 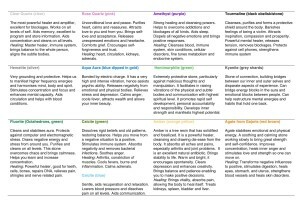 What are the benefits of each of the crystals? - double click below! 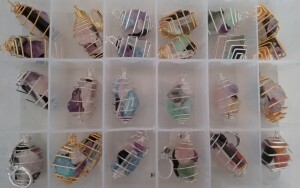 Some pendants have larger but fewer crystals in them. Crystals pedants are all hand-made and come in Silver, Gold, Square & Round spiral, and Keyring (suits those who won't wear jewellery). 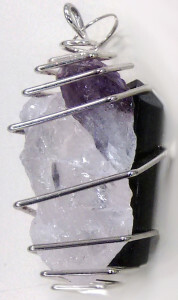 Square spirals are sturdier and a little smaller than Round spirals, but the crystals are similar in each. As with all crystals, if they ever feel sluggish or ineffective, energetically cleanse them by placing them in nature (such as in sunlight or on the earth) with your intention that they be cleared. 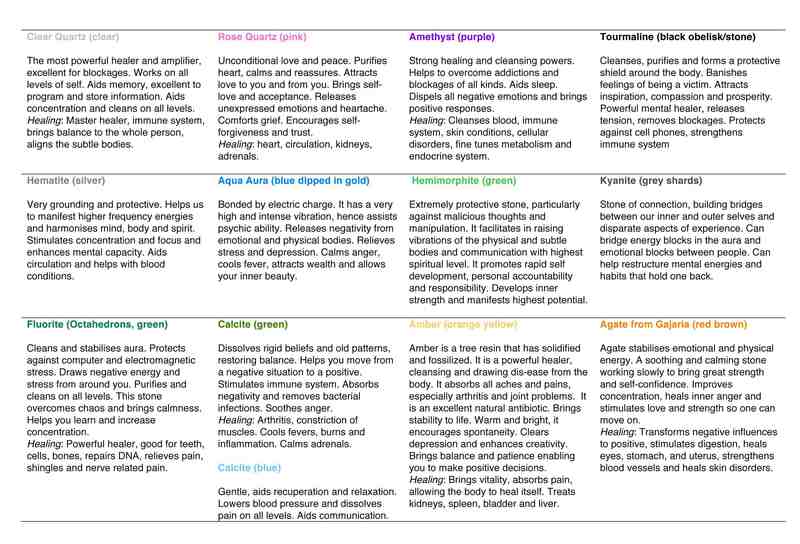 They are powerful healers but are still small compared to our body mass, and this will rejuvenate them. 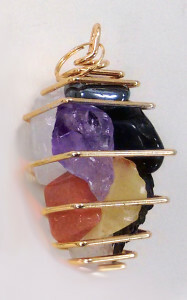 Placing a pendant in water or burying it isn’t recommended as it may damage this style of jewellery. Note: It is recommended not to open the spirals as the crystals may not go back in easily or fall out, and some are fragile and hard to replace!